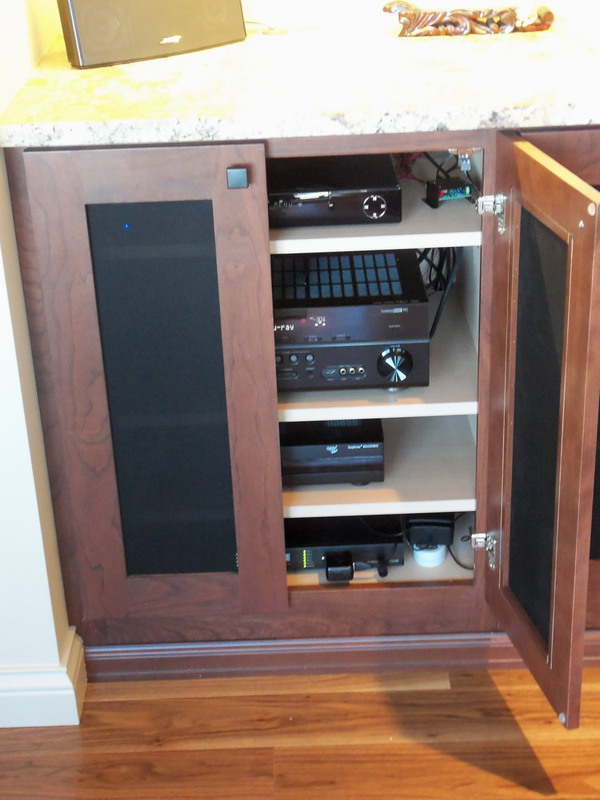 At ABC Audio Video we design, sell and custom install affordable audio and video systems, both in new construction and existing homes. We also provide a variety of high quality to value electronic components. 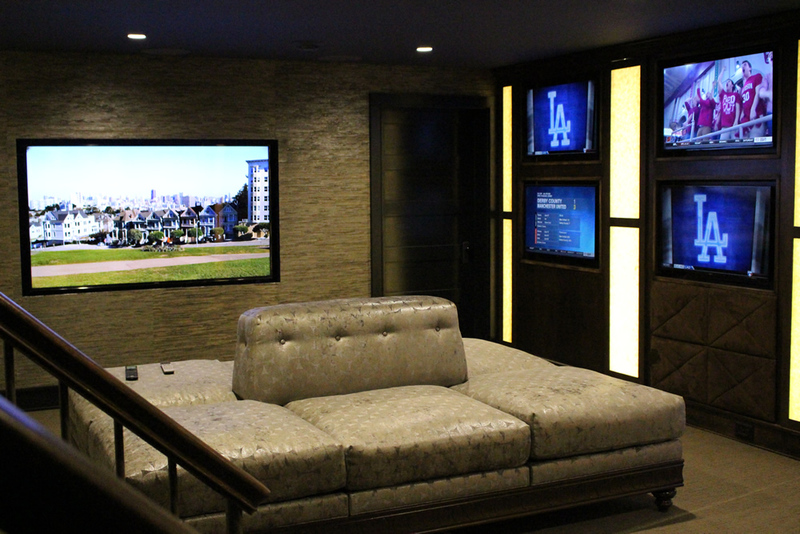 From a simple TV hang, whole home sound, a high-end home theater and even a sports bar in your rec-room, we can handle all your needs. 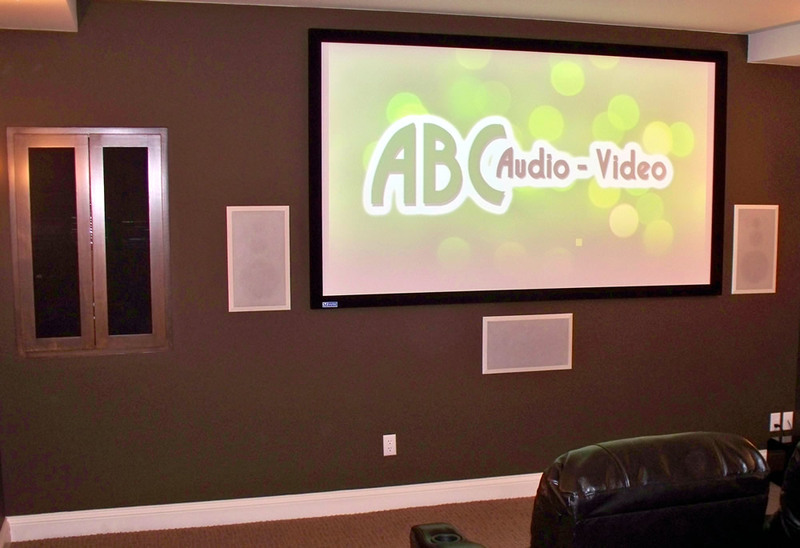 For over 10 years, ABC Audio Video has offered sound, practical audio/video advice to homeowners throughout southeastern Wisconsin. We never over sell or over complicate. We ask questions, listen and offer simple, practical solutions based on your needs, wants and budget. We take pride in everything we do for our customers. 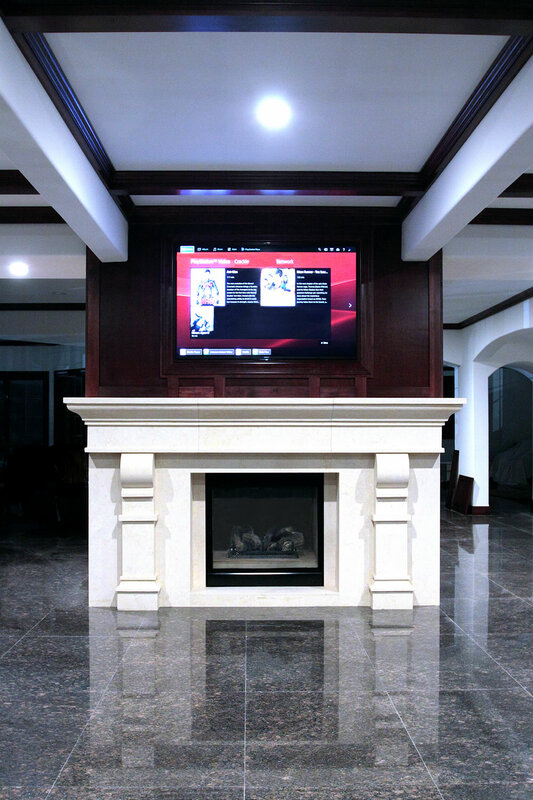 Whether you are building a new home, remodeling or just want to add to your viewing and listening pleasure, contact us to see how we can help. We keep it simple and make sure it's done right the first time. 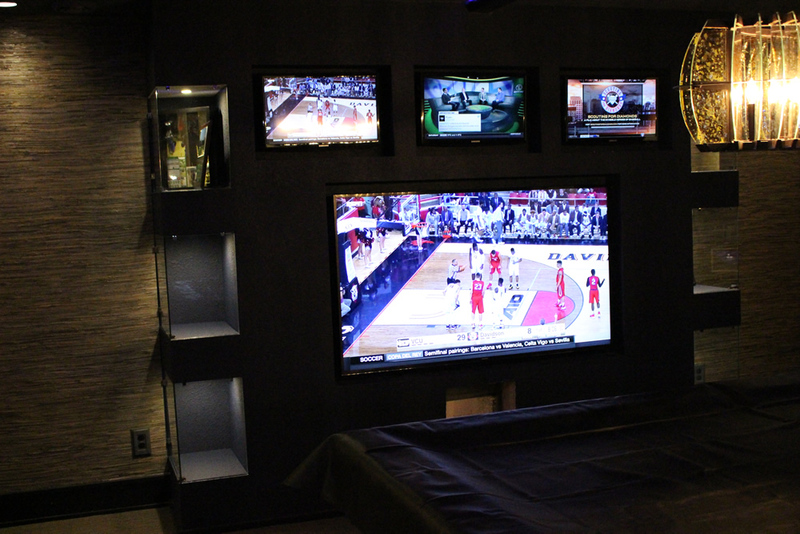 Whether you simply need a TV mounted or a 7-speaker home theater system, we can help. 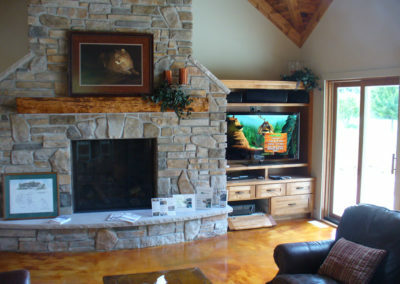 With 10+ years of experience servicing homeowners throughout Wisconsin, we make sure your project is simply done right. ABC Audio Video can provide and install wiring for audio speakers, HDMI cabling, home theaters, Wi-Fi cabling, coax, Ethernet and more. From A to Z, ABC Audio Video can equip your home theater with the latest technology – Dolby Digital Surround Sound, Dolby Atmos and more. 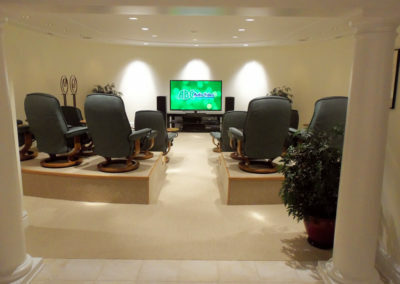 Whether you want all the bells and whistles, or an economical solution, we can provide and install a projector and screen, large screen TV, theater seating, electronic components, hidden components, and convenient controls such as iPad, tablet, smart phone, or dedicated handheld controls and much more! Still in the design phase? Great! We also provide design assistance. 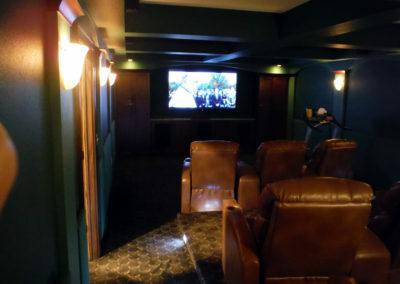 Contact us to discuss your home theater project today. 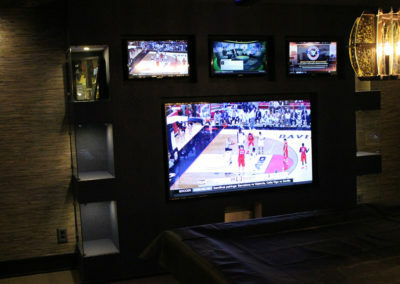 In your new home, you want state-of-the-art technology to make your audio/video experience blazing fast. 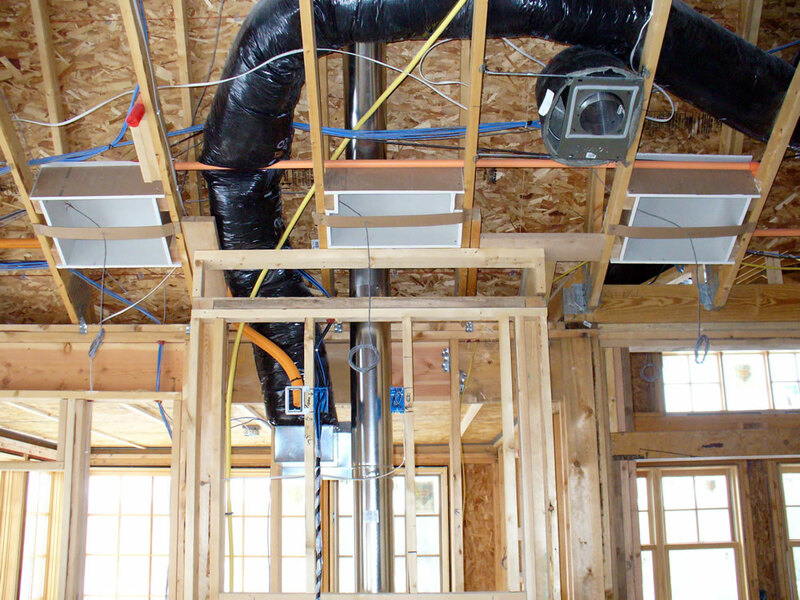 Fortunately, the possibilities are endless in new construction – and it all starts with wiring. 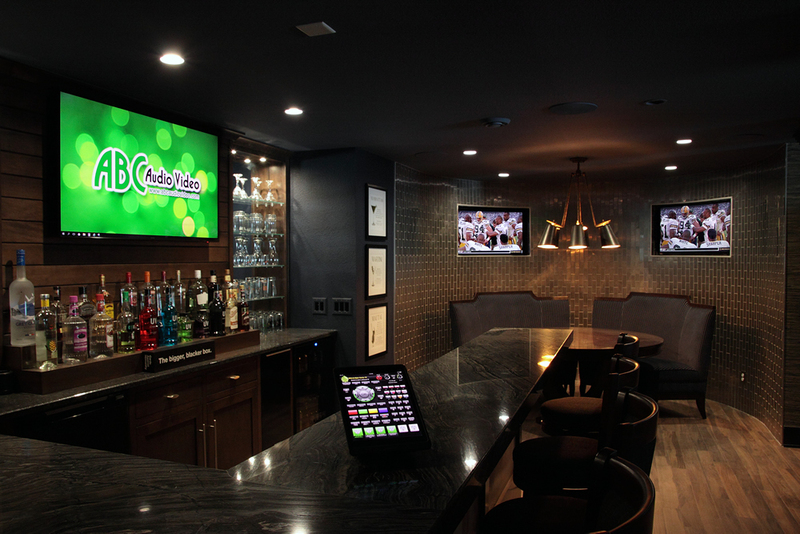 We can install network jacks and cabling, Wi-Fi and access points, smart TV wiring, smart home wiring and more! 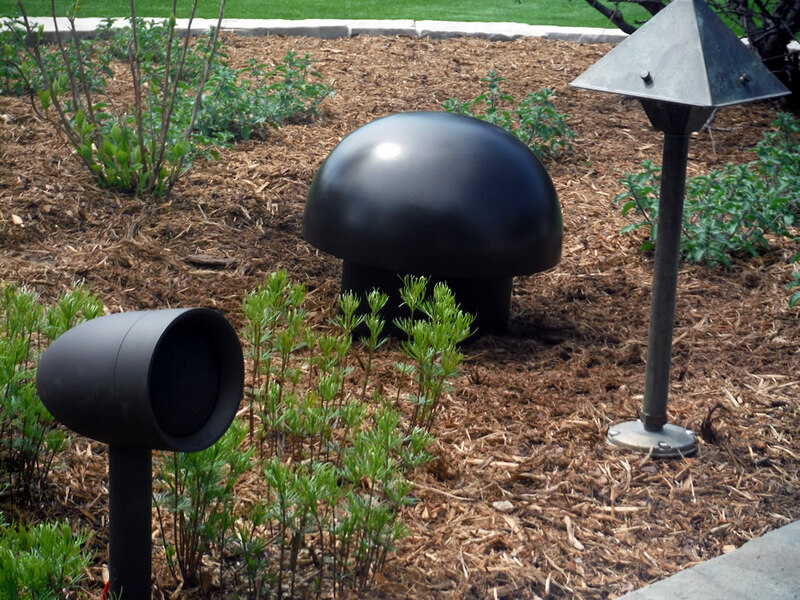 In Wisconsin, our summers are short and now more than ever, homeowners are taking advantage of outdoor living spaces. 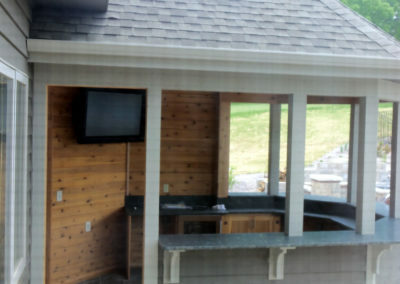 ABC Audio Video can help you create the perfect outdoor entertainment area. 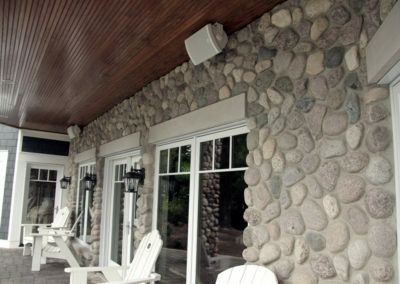 From weather-proof TV mounting, to outdoor speakers, extended Wi-Fi, rock speakers and more, we’ll make your outdoor living area come to life! Many of today’s homeowners are embracing the convenience of smart homes. With the click of a button, you can control the lights in your home from your phone, anywhere in the world. 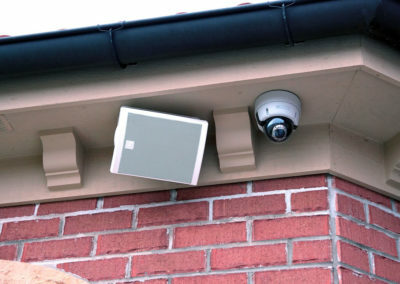 It’s easier than ever to open your garage door for contractors when you’re not home, remotely unlock your front door for your kids, set or disarm your alarm, control your HVAC system and even set up random lighting while you’re away to keep your home safe and secure. Contact us today to discuss the latest in smart home technology! 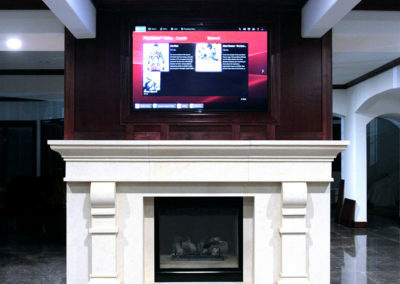 Have you been told “it’s not possible” to integrate an audio or video feature into your existing home? ABC Audio Video excels at finding creative ways to get wires from here to there, when competitors have previously determined it’s “not doable”. Contact us today and let’s discuss what you’re trying to accomplish. 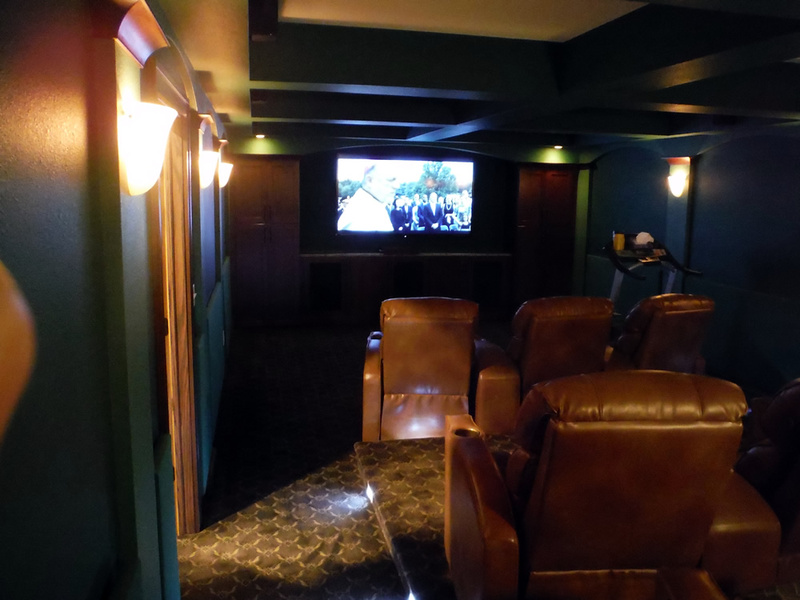 Creating a home theater in an existing home doesn’t necessarily require extensive demo and a big mess to deal with. Today’s advances in technology have introduced some excellent wireless home theater options for existing homes. 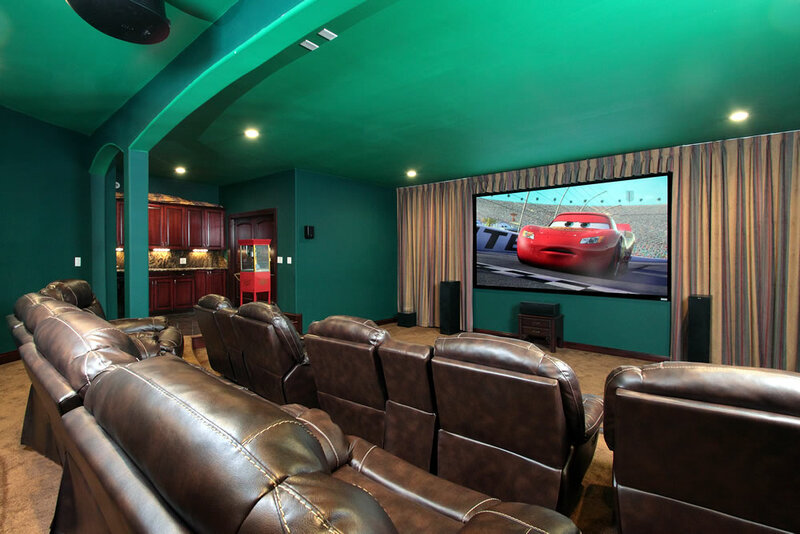 If you’re ok with minimal drywall repair, we can run wires, install speakers and integrate controls with minimal disruption to the room. 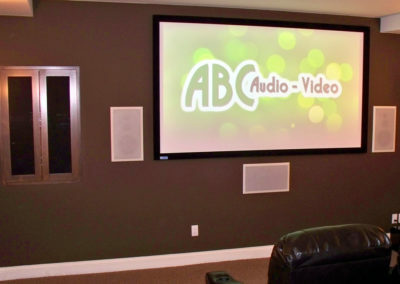 ABC Audio Video can equip your home theater space with Dolby Digital Surround Sound or Dolby Atmos, projector and screen, large screen TV mounting, theater seating, electronic components, hidden components, convenient controls such as iPad, tablet, smart phone, or dedicated handheld controls and more! We even provide design assistance. 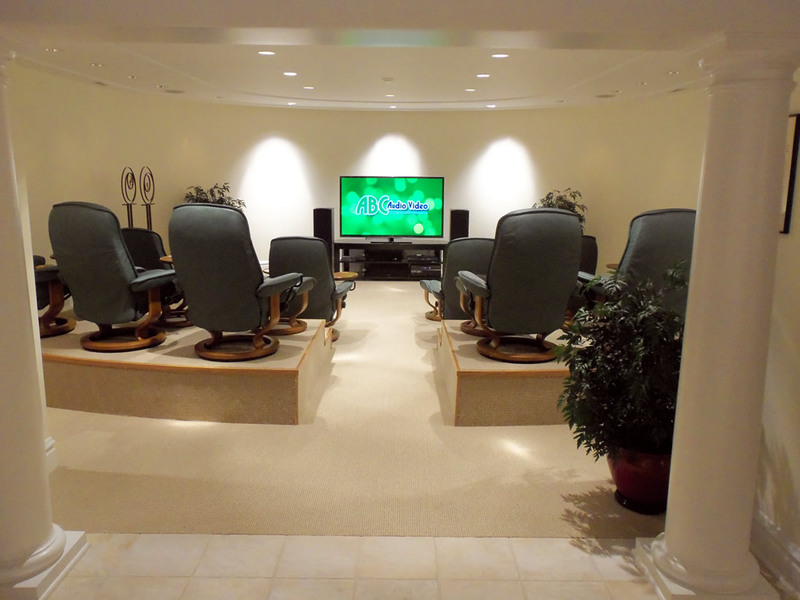 Contact us to discuss your home theater today. 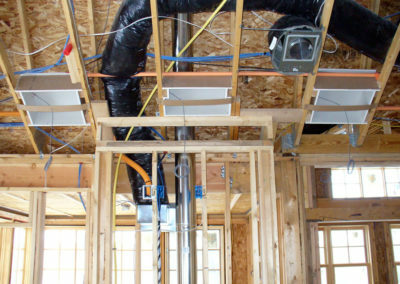 ABC Audio Video specializes in retro wiring, but sometimes when it comes to network wiring, there is minimal drywall repair required. We can evaluate your existing wiring to determine if it is able to be converted to support todays newer network standards. 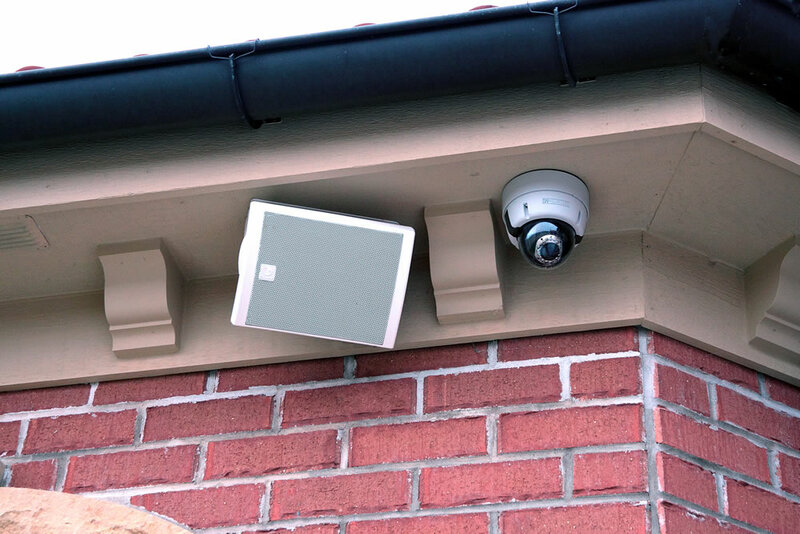 If not, we can provide cabling, network and phone jacks, Wi-Fi access points to boost the signal throughout your home, smart TV, smart home wiring and more. 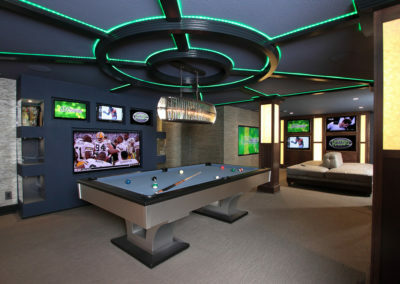 Contact us today to discuss upgrading the technology throughout your home. 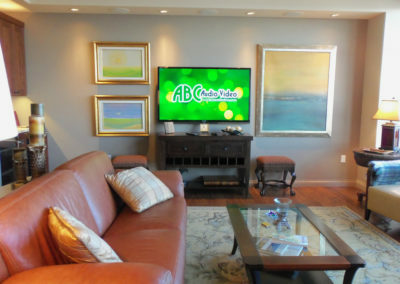 If you’re renovating your existing home, ABC Audio Video can provide hidden TV mounting and installation in your entertainment area of choice for a sleek, modern look. 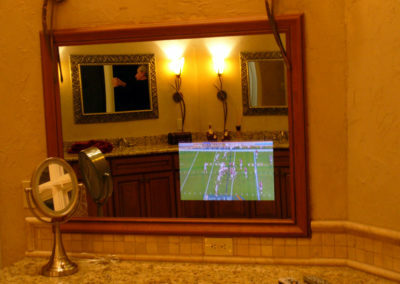 We can also assist with electrical outlet placement, concealed wiring, concealed equipment placement, hidden TV design, mirror TV, and picture frame TV installations. 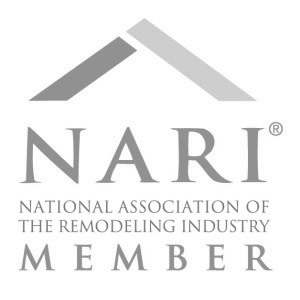 Ultimately, your options are dependent on whether you are looking to renovate a space or if you are seeking minimal drywall repair. 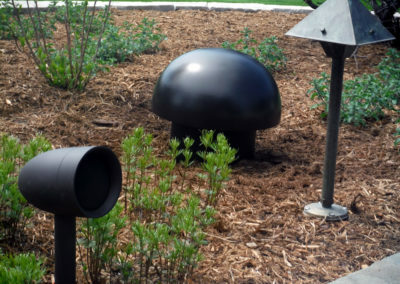 With our short Wisconsin summers, now more than ever before, homeowners are taking advantage of outdoor living spaces. 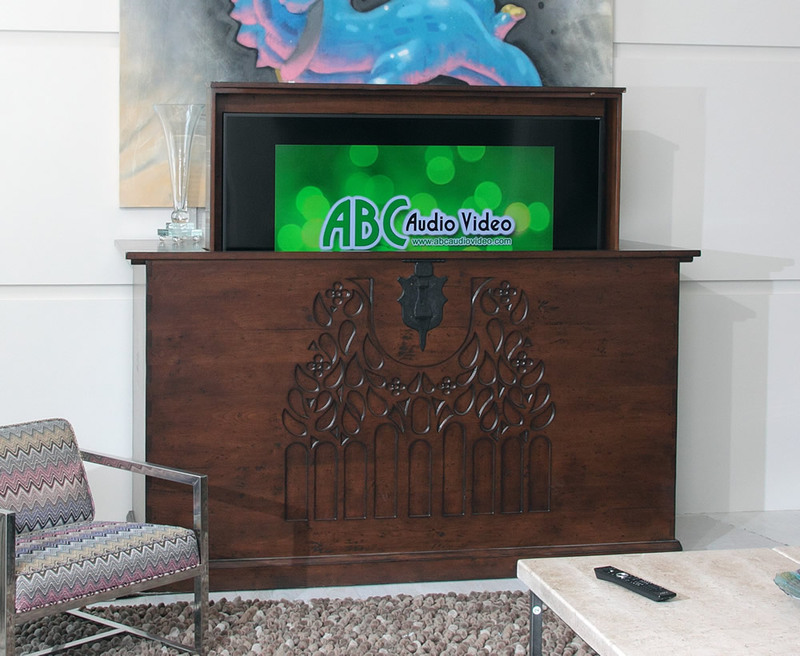 ABC Audio Video can assist with creating your perfect outdoor entertaining area. From weather-proof TV mounting, to outdoor speakers, extended Wi-Fi, rock speakers and more, we’ll make your outdoor living area come to life! 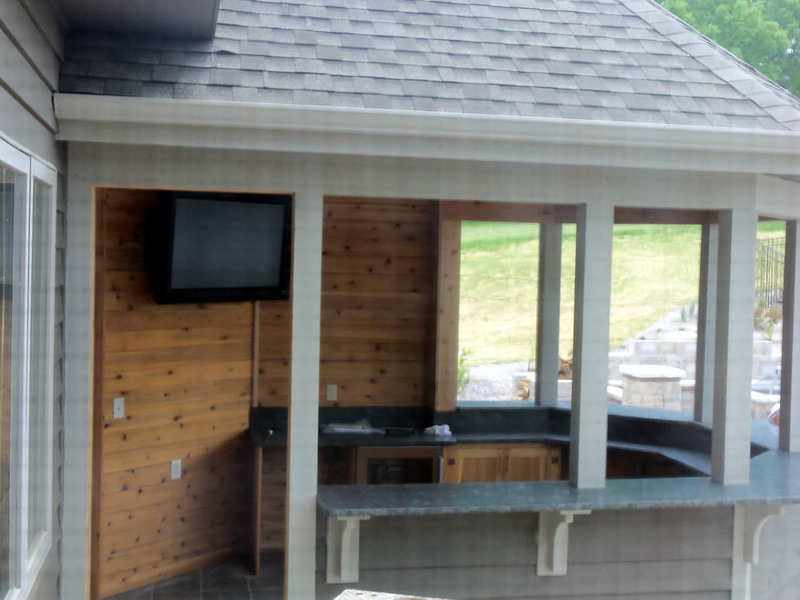 If we can access your outdoor living space through an unfinished part of your basement, we can typically access your outdoor space with minimal effort. 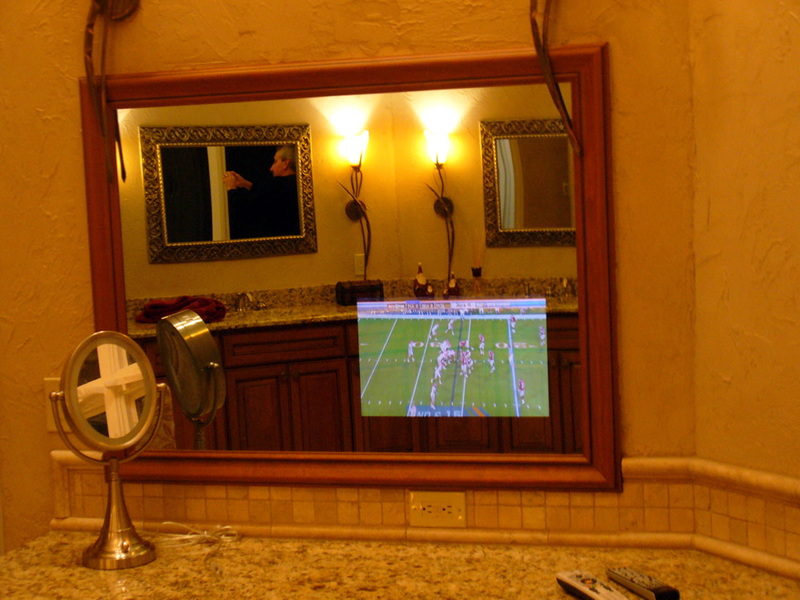 It’s easy to take advantage of the latest smart home technology. As long as you have electricity, you can often integrate smart home features throughout your home without touching a piece of drywall! With just the click of a button, you can open your garage door for contractors when you’re away, remotely unlock the front door for your kids, set or disarm an alarm, control your HVAC system or even set up random lighting while you’re away as an extra security precaution. Please note that wi-fi or cellular network connection is required for this functionality. Contact us today to discuss the latest in smart home technology! 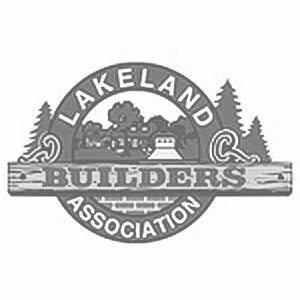 Best place in the state to get your home or business set up correctly! 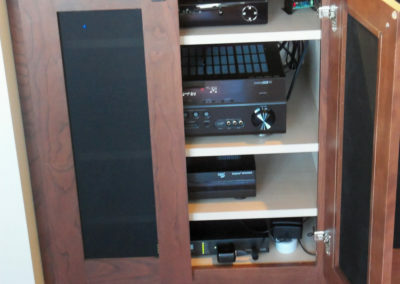 Added whole home audio and surround sound to our condo: great design, instillation and pricing. Highly recommend ABC! Excellent work! Excellent price! ABC was referred to us by a friend and we recommend Chris to all of our friends. It’s never too early to call us because the sooner you call, the better we can help you anticipate potential issues before they arise. 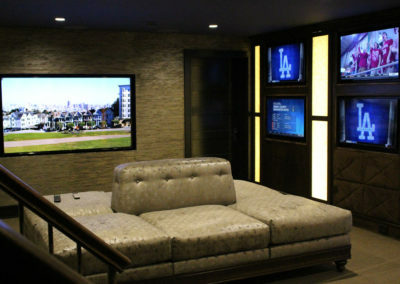 We’ll answer any questions you have, help you design your audio/video project and advise you on the best possible solutions for your space, needs, and budget. 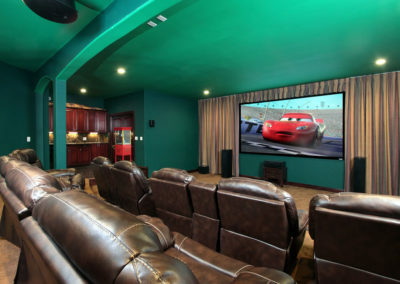 How much does it cost to upgrade the audio/video in my home? 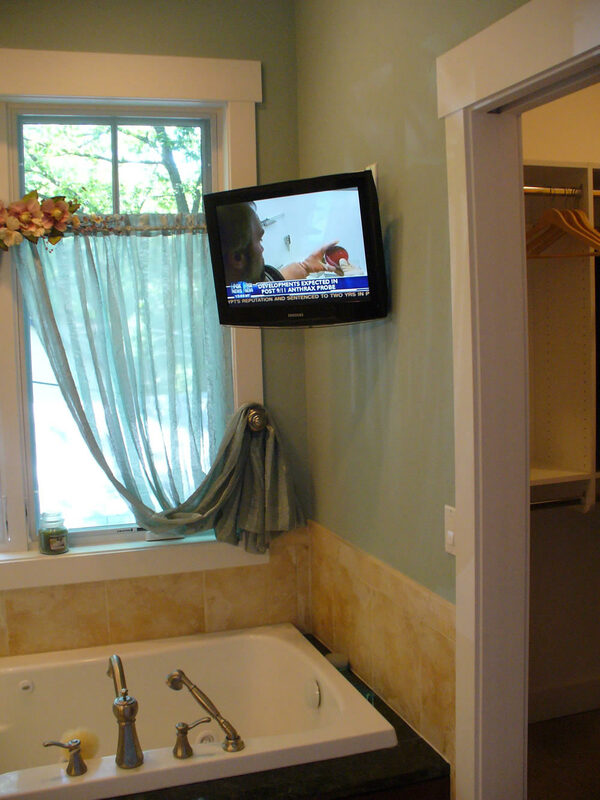 A simple TV mounting can be completed for around $300 including bracket and labor when an electrical outlet has been already installed. 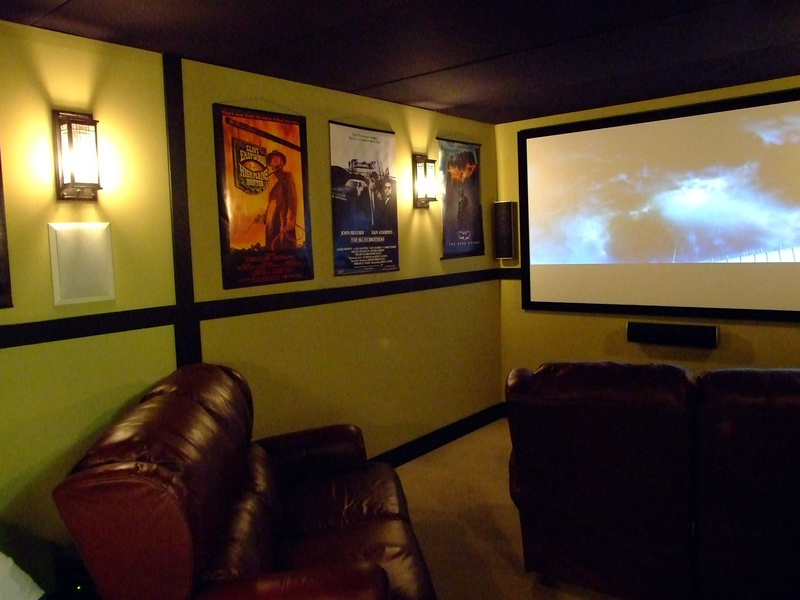 Home theater systems (wired and wireless) typically start around $2,000, with speaker quality and receiver options being a determining factor. Please be aware this price does not account for the cost of a TV or projector, as they vary widely in price. 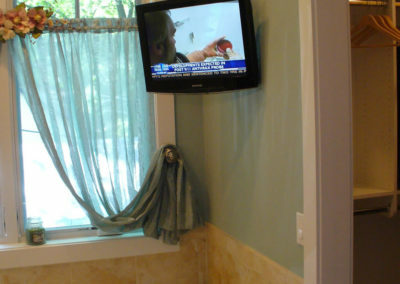 Often homeowners opt to provide their own TV or use an existing TV. Depending on your needs, smart homes typically start around $1,000. Network requirements and wiring varies, depending on what you need to accomplish. 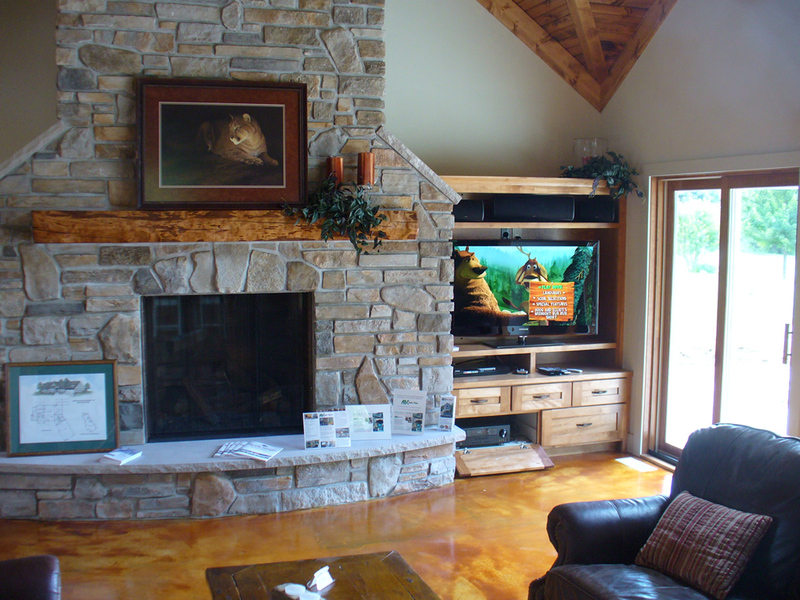 Contact us to discuss specifics and get a free estimate! How long does an audio/video project take? 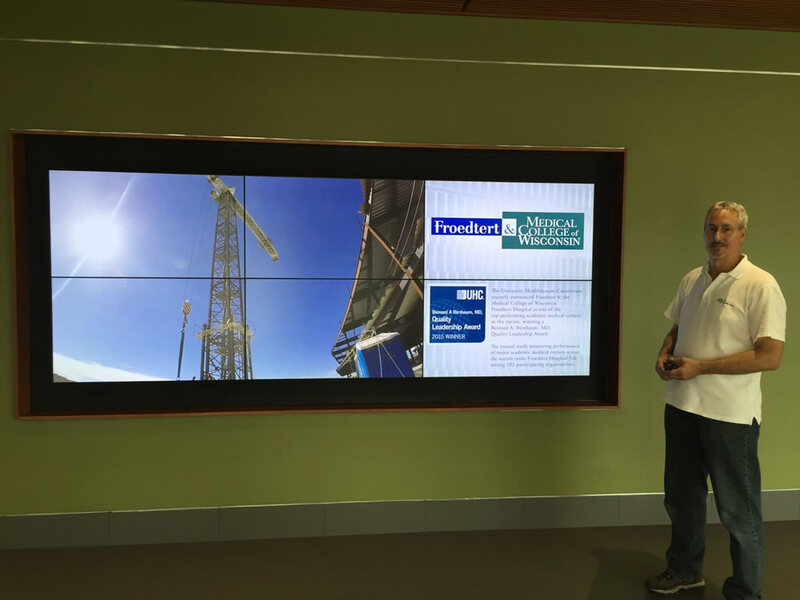 Small projects can be completed in the same day, while new construction projects are typically completed in three phases within the construction time frame. 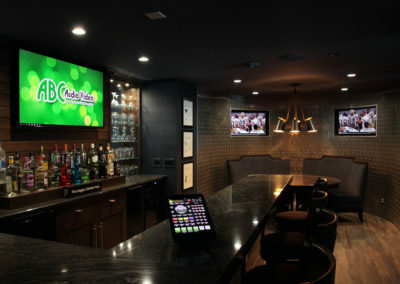 Yes, we can assist with budgeting, design, selections, supplying equipment, and installation. 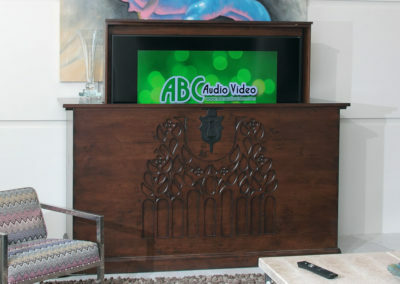 Yes, ABC Audio Video has extensive experience working with home builders throughout southeastern Wisconsin. 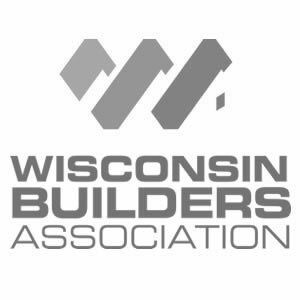 Some of the residential builders we have worked with: Victory Homes of Wisconsin, Advantage Remodel, Carmel Builders, Inc., Diane Nelson Interiors, GMH Construction, Matusik Builders, Inc., Oar Group, Preservation Homes, Renovators Group, Inc., Ruebl Builders and Mandel Group, Inc.